Founded in 1991 by Rob Smyjunas, Vandercar Holdings began as a commercial real estate brokerage firm. Vandercar became a development company in 1995, initially specializing in developing drug and grocery stores across New Hampshire and New England. During that time the company also worked extensively with Macy’s as an exclusive broker/developer under its New England Asset Utilization Program. In 2000, Rob was convinced by his wife to move the company to her hometown of Cincinnati, Ohio. Since that time Vandercar has been one of the area’s most successful developers starting with the company’s first large local project, The Center of Cincinnati – a Sam’s Club, Target and Meijer anchored shopping center containing more than 650,000 SF of retail space. The project, a redevelopment of the headquarters site of the city’s historic Cincinnati Milacron company, occupies one of the most prominent locations in the heart of metropolitan Cincinnati. Vandercar is presently developing 75 acres which was once 2,000,000 SF of manufacturing floor area for the Cincinnati Milacron. Oakley Station is a mixed used project with a 14 screen Cinemark Theater, 148,000 SF Kroger, 302 luxury apartments with 180 more units in the planning stages as well as retail, restaurants and 400,000 SF of office space planned. 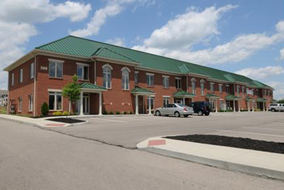 Vandercar is also partnering in multifamily, industrial, residential, hospitality, and office developments in the Ohio and Kentucky area. Our company also provides development solutions via Public Private Partnerships providing saving and financial stability.